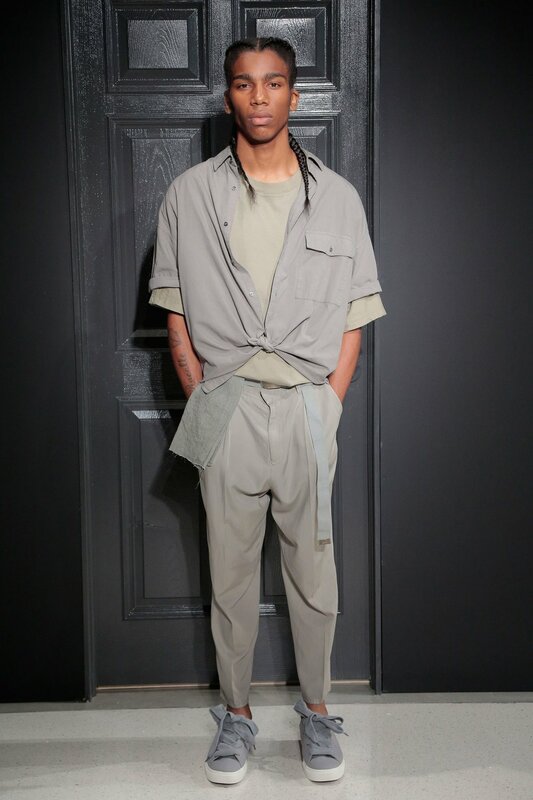 For Spring/Summer 2018 menswear designer Robert Geller debuted his new line Gustav Von Aschenbach. 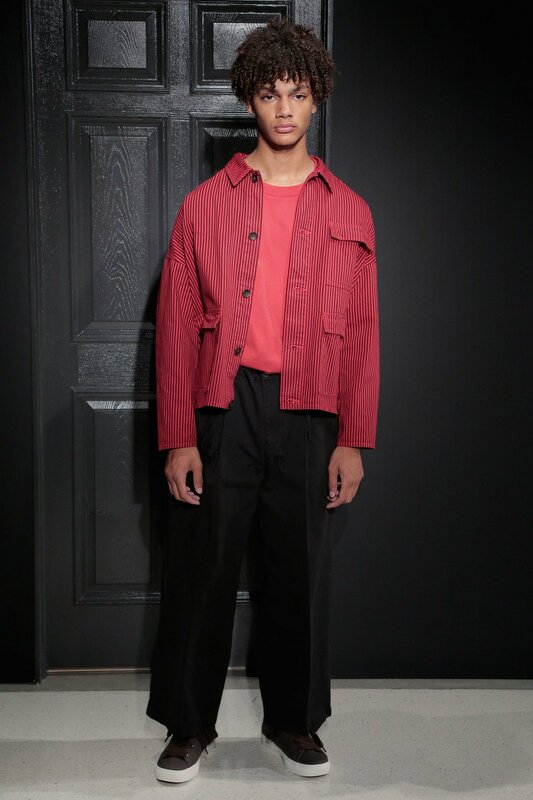 Named after a character from Thomas Mann's "Death in Venice," a novel Geller says he read throughout his teenage years, the new line is his reflection on the current state of menswear. A dialogue Geller has long pondered but clearly waited to perfect before making his move. With cleaner silhouettes and less embellishments Gustav is by far a different aesthetic from the runway looks of Geller's eponymous line. Made in Japan from Japanese materials, aside from a few bold statement stripes, most looks told monochromatic stories in red, blue and grey. 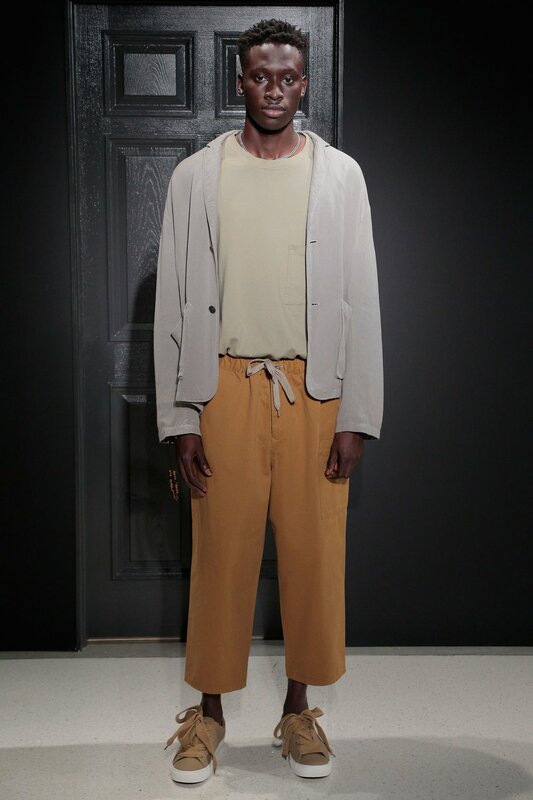 Defining the collections casual nature were oversized cardigans, shirts, outerwear and cropped trousers. It was a bold risk by Geller in a different direction from the slender legs of his namesake line. With apparent ease Robert Geller introduced us all to Gustav and we all say welcome!